Australia has placed seventh in Knight Frank's Global House Price Index for the September quarter, surging 25 places from 2016. 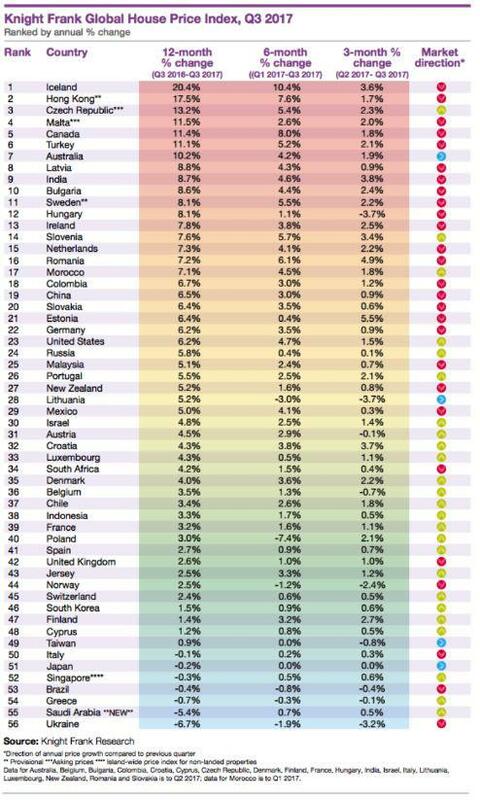 The global index tracks housing market performance across 56 countries worldwide. Australia recorded 10.2 per cent annual growth to September, maintaining the same growth rate as the June quarter. The global index has increased by 5.1 per cent year-on-year in contrast to last quarter’s growth of 6.3 per cent -- representing the lowest annual growth rate the index has seen since the start of 2016. Prices increased year-on-year in 88 per cent of countries tracked by the index, however almost half saw their growth rate decline compared to the previous quarter. In contrast to the third quarter 2016 Australia has made a significant movement in the rankings up from 32nd position with 4.1 per cent growth. 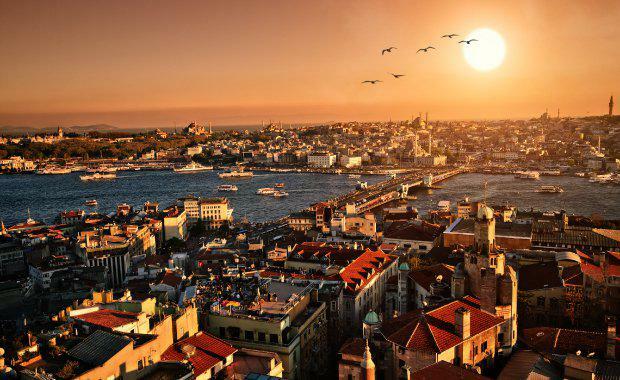 “Interestingly, with weaker growth across the global marketplace, our ranking has moved up four spots to seventh place – we are also one of just seven cities tracked globally still performing with double-digit growth,” Knight Frank's head of residential research Michelle Ciesielski said. 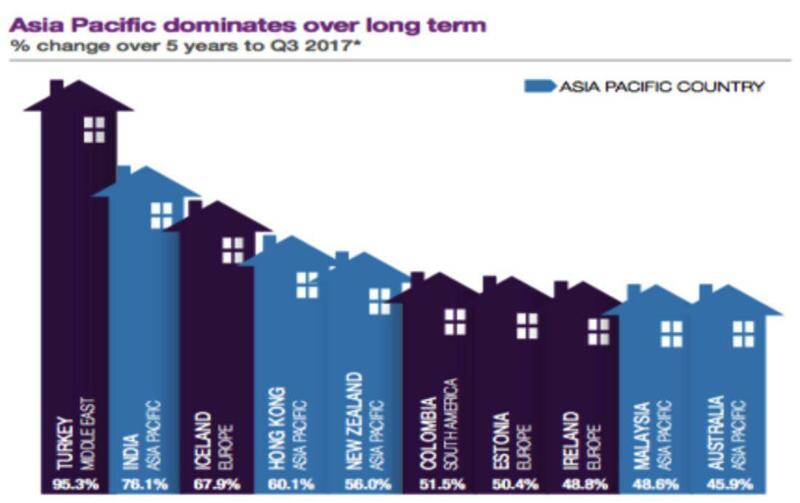 Over the past five years to the third quarter 2017 the Asia Pacific region has dominated price growth led by India (76.1%), Hong Kong (60.1%) and New Zealand (56%). Australia was fifth in the region over this time, with total growth of 45.9 per cent. “Although some of the heat has been taken out of the Sydney residential market of late, Melbourne, Hobart and Canberra are thriving – driving up total annual growth," head of residential Sarah Harding said. “Additionally, the worst appears to be behind Perth’s residential markets and this is also contributing positively to the overall Australian performance. “As investors find it increasingly harder to obtain finance, we’re experiencing more enquiries from owner-occupiers, including those looking to downsize, and we’re starting to see the return of first-time buyers to the market,” Harding said. New Zealand have dropped out of the top ten for this quarter, down to 27th as annualised price growth declined from 10.4 per cent to 5.2 per cent. Tighter lending conditions and plans to introduce a ban on foreign investors in 2018 have potentially reduced some of the speculative activity in the New Zealand market. 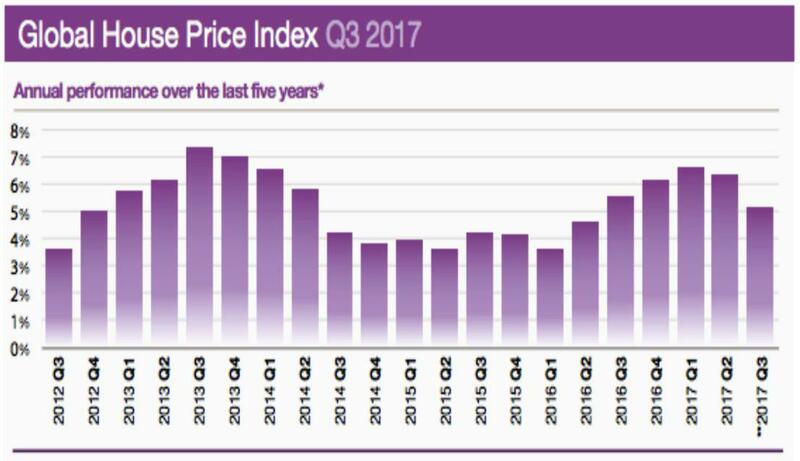 Average prices in the US accelerated 6.2 per cent over the 12-month period up from 5.8 per cent last quarter while on the other hand the UK has experienced a slight fall from 2.8 per cent to 2.6 per cent, however the market remains highly localised with affordability a key concern in many markets. China has slipped from 12th to 19th position with house prices now rising at their slowest rate for five quarters due to tighter macro-prudential regulations, up by 6.5 per cent on an annual basis according to China's National Bureau of Statistics. European housing markets are firmly back in the spotlight. On average, the region recorded 5.6 per cent annual price growth in the year to September, up from 2.3 per cent three years ago. Despite Europe’s recent recovery, analysis over a five and 10-year period underlines the extent to which countries within the Asian Pacific still rank amongst the highest performers.